Aiming the ATLATL. Photo courtesy MDC. The Missouri Department of Natural Resources released information about an upcoming event at Washington State Park to celebrate Archaeology Day. Visitors are invited to celebrate Archaeology Day 2017 with an event Sept. 9 at Washington State Park near De Soto. The free event will be held from 10 a.m. to 3 p.m. at the park’s Big River day-use area. 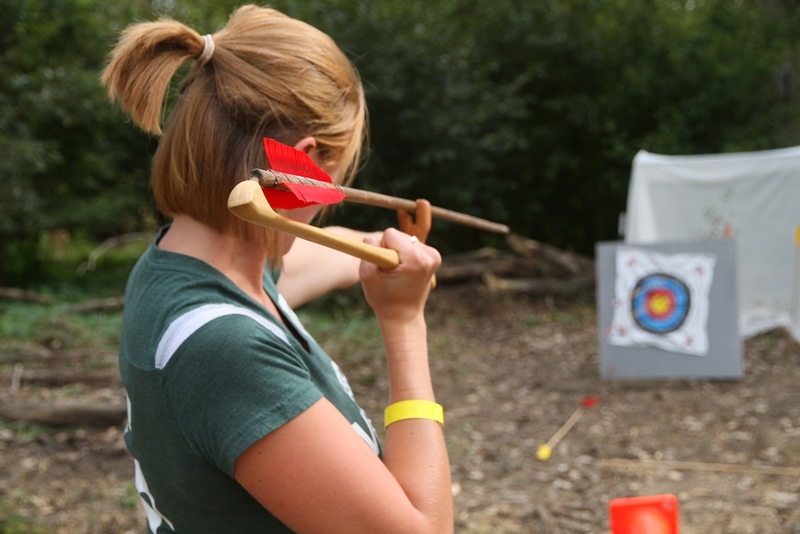 Demonstrations of flint knapping and atlatl throwing will be held throughout the day. Children’s activities will include making petroglyph necklaces, corn grinding and other crafts. Staff will lead a tour to the park’s petroglyph site at 2 p.m.
Missouri State Parks is celebrating 100 years in 2017. Visitors can experience all the park system has to offer with the Centennial Passport. Visit mostateparks.com/passport for more information. Washington State Park is located 10 miles south of De Soto on Highway 21. For more information about the event, call the park at 636-586-5768. Find more information on state parks and historic sites HERE. Missouri State Parks is a division of the Missouri Department of Natural Resources.